The President Donald Trump took presidency of America in January 2017. He had the lowest approval rating so he needed something very special which could carry him safely anywhere. 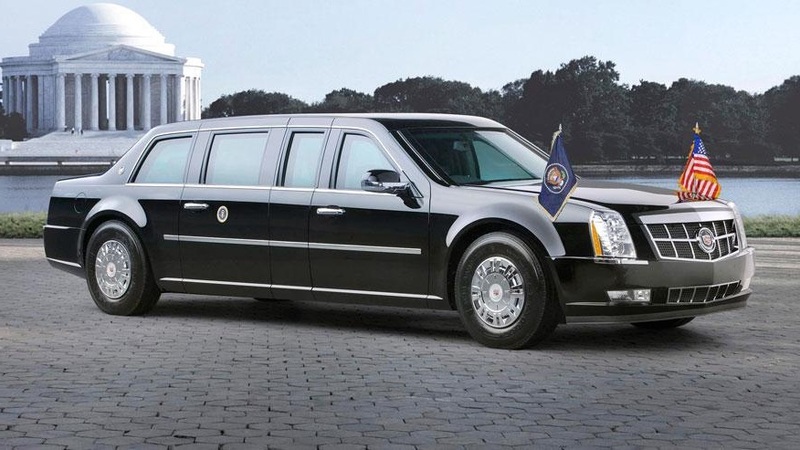 So the General motors manufactured a special bomb-proof limousine named “Cadillac One” or BEAST (named by the secret service), for him. 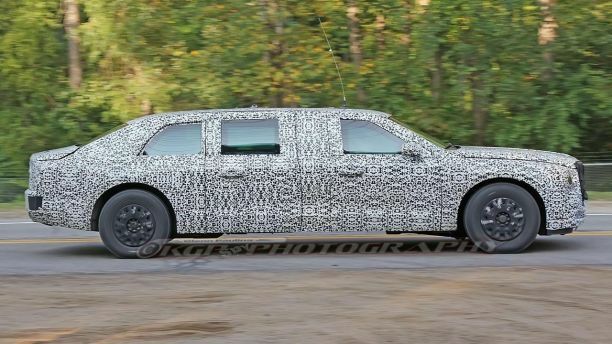 The Beast is not an ordinary limousine. It is the safest car on Earth which costs about $1.5 million. Passengers in this car are totally safe from every disaster. It has been specially engineered to withstand a military or any chemical attack. It has been specifically manufactured for the President of United States Donald Trump. The car can even survive a direct rocket attack. Also President hasn’t only one Beast but a fleet of 12 cars. 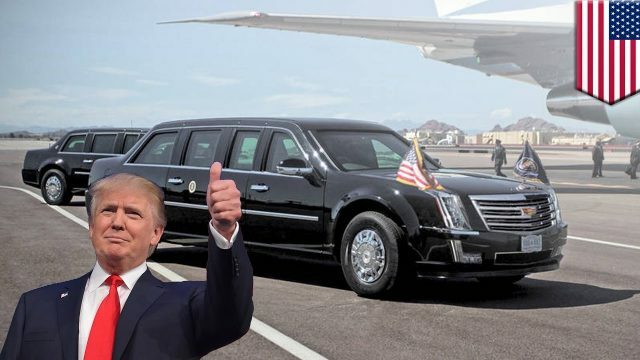 There’s always an identical one with President even if he travels to another city or Country, the 2 Beasts and a secret service SUV goes along with him in C-17 Globemaster, which serves as its carrier. 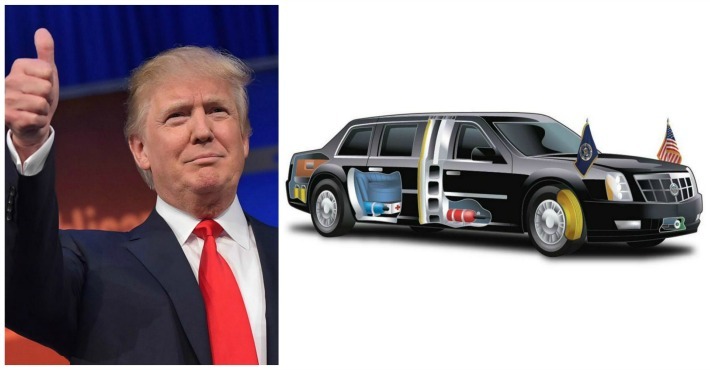 Let us see more about this car’s technology and the gadgets placed in it, for the safety of President Trump. The windows are made of 5 layers of glass along with the layers of polycarbonate. All the windows are sealed and only driver’s side window can be opened only upto 3 inches. The windscreen can withstand a 0.44 magnum (or armor-piercing) bullets. The fuel tank of the Beast is explosion free. It is armor plated, enclosed in a foam case to survive any direct impact. It cannot be harmed in any case. The tires of the vehicle are designed such that it can keep the car on move even in case they are damaged. Kevlar coating tires are puncture resistant. Even if the tires burst, the metal rims beneath doesn’t stop the car. The body of the car is made of 5 inch thick plating made of titanium, stainless steel, aluminum and ceramic. The body is built like that of a military grade armor. The doors are armor plated 8 inches thick and weigh equal to that of a cabin door of Boeing 757. Closed doors form a complete seal providing protection against an event of chemical attack. The reinforced undercarriage can withstand a road side bomb. The vehicle is fully armed with a number of shotguns and tear gas launchers. The vehicle is armored to tackle with any case of an emergency. These are placed in front grille which can be used in case of attack on president. Also there are night vision goggles in the cabin of the car. The trunk of the car has an oxygen tank which is supplied to circulate the fresh air into the cabin in case of toxic air surrounding the car. Also there are two bottles of President’s blood in case of any emergency transfusion. Also there is firefighting equipment in the cabin to tackle with fire. It has a 6.6 liter turbodiesel engine, all based on Chevrolet Kodiak, which is a rugged commercial truck. 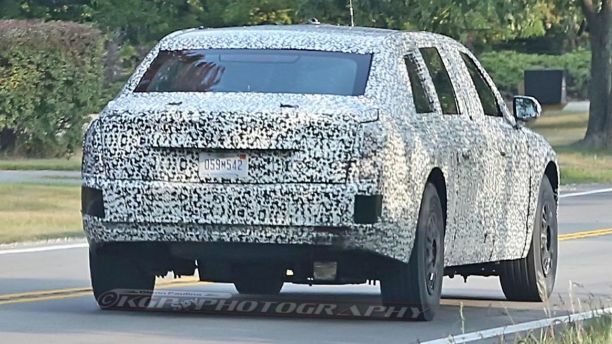 It has fuel consumption of 8 miles per gallon (3.4 Kmpl). 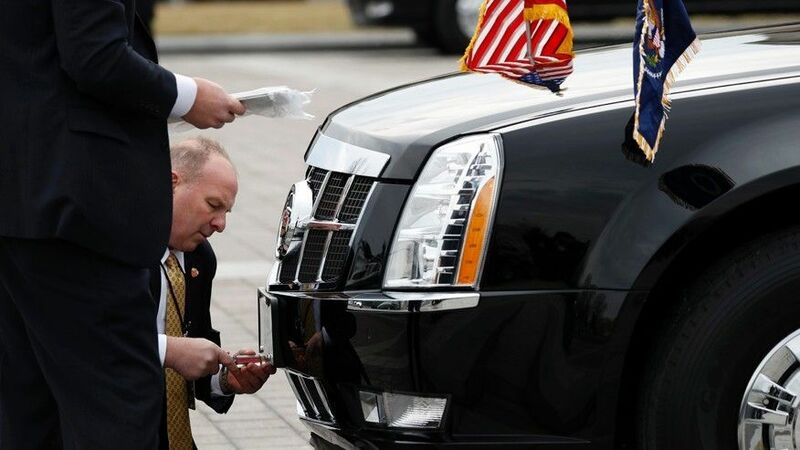 The driver is a special agent trained by the US Secret Service to handle any type of emergency situations. He is the most trained driver so that he may withstand the toughest driving conditions. There’s a tracker in the driver’s compartment which allows the tracking of vehicle anywhere and anytime in the world. The interior of the Beast is lavish. 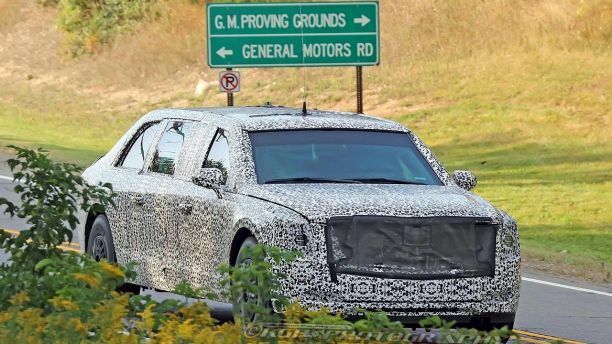 The most powerful man should have a very comfortable cabin and General Motors has already catered that. The interior of the vehicle is spacious and equipped with luxury features. 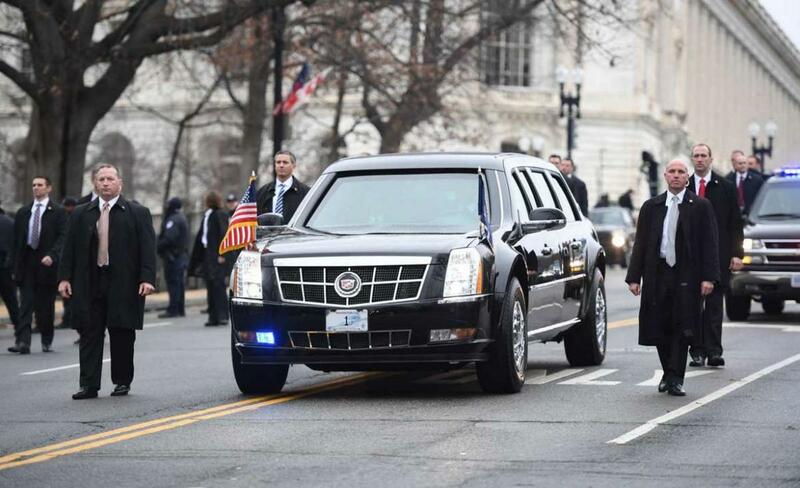 It is a seven seater car with at least 3 (President, Driver, Secret Service Agent) persons on broad. 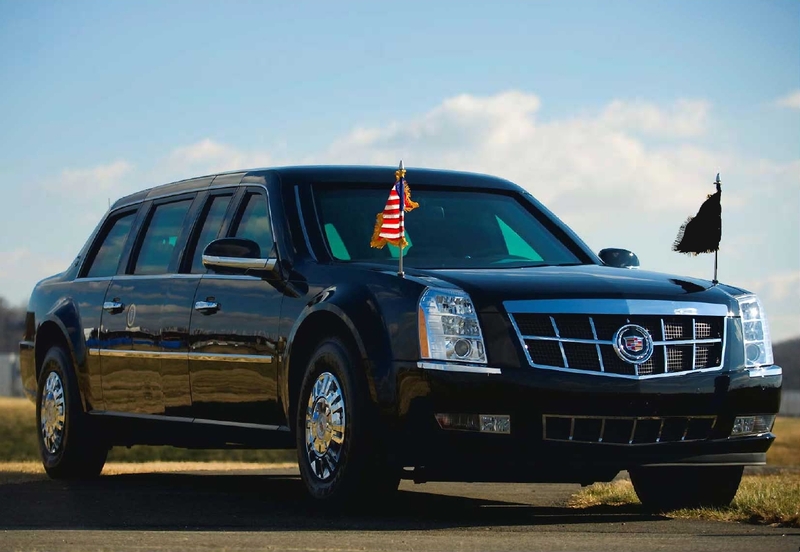 Additional 4 persons can sit in the car but the President’s cabin is separate. The most important feature of the interior is the satellite phone placed beside the President. It is in direct communication with the Pentagon and Vice President. Due to the immense weight of the Beast (around 8-10 tones), the car can only go upto a speed of 60 Mph (96.5 km/h). It takes about 15 seconds from a complete stop to 60 Mph. In short, nothing can destroy this car. It is really an actual BEAST. 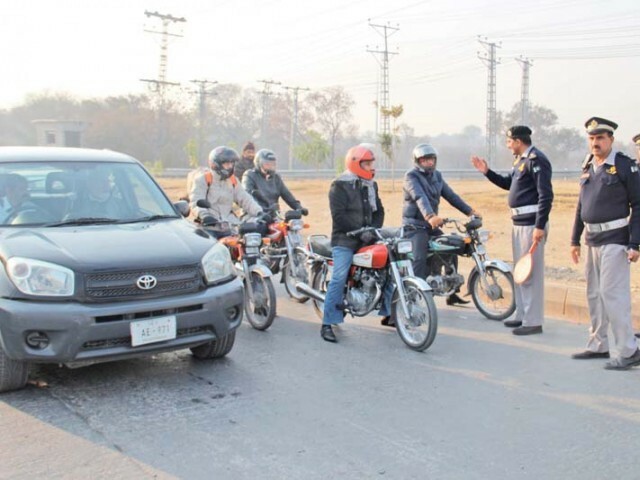 It has every such thing which can protect a person against any attack and the persons sitting inside are much safer than they are in any other vehicle. Chevrolet Kodiak comes with 12 ton rating (12 metric tons) and rated speed of 85 mph so why is this car limited to 60 mph specially when it does not need truck gearing? Dear, the engine is based on the Chevrolet Kodiak, means to say it is not exactly Kodiak’s engine but built on the same lines.